If you’re like me, then you can’t help but roll your eyes every time you see an attractive man or woman on Instagram telling you how the skinny tea detox they’re currently advertising helped them achieve their perfect physique. It’s well known that green tea offers health benefits, such as lowering cholesterol, combating allergies, and promoting good oral health, but research on these trendy detox teas has been sorely lacking. So, I decided to find out for myself. No one was more surprised than me to find out what was good for the body, and what could be disastrous for it when you take too much. How Can Food Or Drink Detox Our Bodies? Just what counts as a toxin is pretty broad — any chemical agent found in food, air, water, or other part of the environment that damages the body fits the bill. The Environmental Protection Agency lists 689 chemicals that can result in cancer or other chronic conditions, or have an adverse effect on the environment or human health. Some of the most well known toxins that invade our body include mercury, lead, and bisphenol A. Using food or drink to detox the body has been met with some resistance. After all, there are very few concrete studies that show detox diets, like the one that urges eating only raw fruits and vegetables, do what their promoters say they do — ridding the body of toxins, cleaning out the colon, or emptying the intestines, among other claims. Many experts agree that the human body is used to waste products and toxins and doesn’t need help removing them. I decided to do a little bit of research before starting a 14-day trial of Higher Tea’s Detox Tea just to see what I was in for. One of the common effects of this sort of product I kept coming across was loosened stool. Although regular bowel movements are indicative of good gastrointestinal health, I wasn’t looking forward to walking around for the next two weeks worrying about having the sudden, urgent need to find a bathroom. A quick search of popular tea detoxes on the market revealed the two ingredients responsible for this effect: caffeine and senna. Similar to the effect a morning cup of coffee has on the gastrointestinal tract, the caffeine found in some teas can suppress appetite and cause the digestive system to get rid of waste. It does this by triggering peristalsis, a series of muscle contractions that move food to different stations in the digestive tract. The caffeine in tea also hinders the production of antidiuretic hormones, which allows water to be absorbed by the kidneys. Fewer antidiuretic hormones means more urine. Another ingredient found in popular tea detoxes, senna leaf is actually an FDA-approved nonprescription laxative that is often used to treat constipation and clear the bowels before a colonoscopy. It’s also used to treat irritable bowel syndrome, hemorrhoids, and weight loss. However, experts warn patients not use this herb long-term and the American Herbal Products Association recommends avoiding it if you have abdominal pain or diarrhea. Senna can cause a variety of adverse responses, including diarrhea, lack of sleep, restlessness, irritability, irregular heartbeat, and liver injury in rare cases. Moreover, taking a laxative for 14 days is a dangerous way to lose weight. A good rule of thumb before starting any supplement or detox regimen would be to consult your doctor if there are ingredients you’re not familiar with. 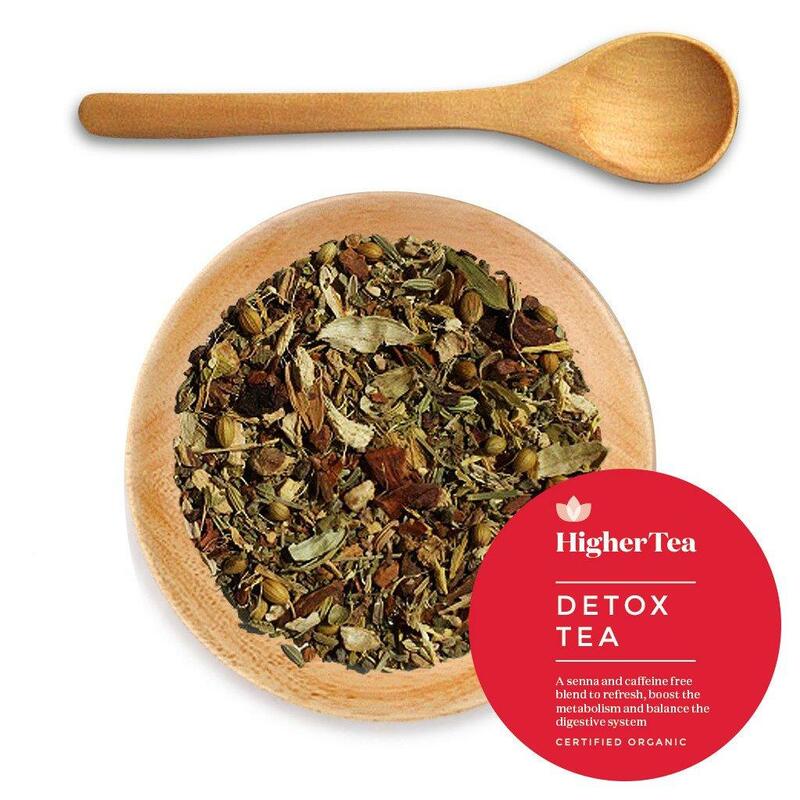 Luckily for me, Higher Tea’s Detox Tea is both senna- and caffeine-free. What’s In Higher Tea’s Detox Tea? I expected a long list of unintelligible names on the ingredient list, so I was pretty surprised when I flipped to the back of the package and found the ingredients are a blend of herbs and spices, including liquorice, cinnamon, ginger, sage, cardamom, coriander, dandelion root, fennel, and anise seed. This particular tea blend promises to “boost the metabolism and balance the digestive system” when accompanied with a healthy diet. So a week prior to starting the 14-day detox, I started a healthier dieting plan that included more fruits and vegetables, less sugar, and lean meats only. While I was no stranger to most of these ingredients, there was one that was a bit of mystery to me. Cardamom is considered the world’s third most expensive spice and is mainly cultivated in the Middle East where it has been historically used to improve digestion and stimulate the metabolism. Research on it has been scant, but one study examined its antioxidative effects. A research team from the Chittaranjan National Cancer Institute in India found that cardamom had a protective effect against non-melanoma skin cancer. It also contains 2 grams of dietary fiber per tablespoon, which helps regulate the digestive system and prevents high cholesterol. I was familiar with the smell and taste of the tea and wasn’t surprised to learn it contained liquorice. I’m not the biggest fan of the spice, but it was in no way overwhelming. Besides, the taste was well worth it after learning about some of the medicinal uses for licorice. Although more research is needed, some evidence does suggest deglycyrrhizinated licorice can treat stomach ulcers. These open sores that develop on the lining of our esophagus, stomach, and upper portion of the small intestine often result in abdominal pain. The tea’s flavor also came from two other ingredients: fennel and anise seed. Licorice, fennel, and anise are not part of the same family, but they do share a common taste due to the compound anethole, which suppresses pro-inflammatory responses. Fennel has even hit superfood status due to all the nutrients it contains, including vitamin C, potassium, and fiber. Research has also shown that a combination of peppermint, caraway, and fennel can be used to reduce gas and cramping in people with indigestion. Ginger, another ingredient in the tea, may suppress appetite and lead to weight loss. Researchers from the Institute of Human Nutrition at Columbia University published a pilot study in 2012 in which 10 male participants were given either plain hot water or hot water with 2 grams of powdered ginger with their breakfast. Participants who received ginger saw a boost in the energy it took to digest their meal and burned 43 more calories at rest compared to those who drank plain hot water. They also reported feeling less hungry when asked by the research team. More research is needed for confirmation due to the study’s small sample size. What Effect Did It Have On Me? For two weeks, I started each morning with a cup of Higher Tea made with 1 to 2 teaspoons of the blend. I noticed changes within the first couple of days. Although the tea is senna and caffeine-free, I was still told to expect more frequent bowel movements and urination — for good reason, it turns out. Upon starting this experiment I weighed 189 pounds. I had lost 4 pounds by the end. At first, I chalked some of that up to water weight, considering all the urination, but it also occurred to me that my appetite had significantly diminished, perhaps thanks to aforementioned appetite suppressing ingredients. I found I had more leftovers after each meal. 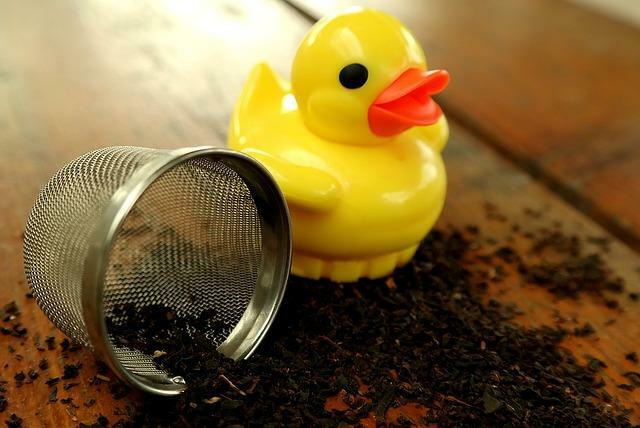 Teas containing caffeine can alter our sleeping patterns leading to a variety of complications. To make sure Higher Tea didn’t impact my sleep schedule, I enjoyed my daily cup as early in the morning as possible. I found myself having more sustained energy levels throughout the day and a more controlled appetite during certain times of the day. I was also pleasantly surprised to find that my daily post-lunch bloating had been remedied, which I hoped was a sign of better digestive health. In addition to a healthy diet, I also cut out my three daily cups of coffee. This also worried me. I’m one of those people who needs his morning cup of joe to get the day started. How would I handle my morning commute and over eight hours in the office without any caffeine? Despite the change, I didn’t notice any of the withdrawal symptoms I had experienced in the past. Research suggests that two particular ingredients in the tea can boost cognitive function: cinnamon and sage. Studies performed on the spice cinnamon and the herb sage have revealed that both benefit cognitive function by improving memory recall and even protecting against Alzheimer's disease. A 2004 study found that compounds within Chinese sage can inhibit acetylcholineserase, an enzyme that is found abundantly in Alzheimer’s patients. Cellular damage caused by the enzyme has been linked to memory loss and dementia. Compounds found in cinnamon may obstruct the buildup of defective proteins in the brain that are tied to Alzheimer’s disease. As is probably clear by now, a 14-day tea detox is not a quick fix for an otherwise unhealthy lifestyle. Whether you’re trying to lose weight, improve your mood, or clean out toxins, the first steps are always a healthy diet and regular exercise. Just drinking tea while staying sedentary and eating fast food won’t do much for overall health. That said, researchers are exploring the benefits of many of the tea’s ingredients. I also noticed a few side effects, especially thanks to avoiding caffeine and senna. If anything, my body’s response to the tea was subtle and undramatic, which might just be the best discovery I made.